As the NBA evolves into a shooter’s league, traditional centers are quickly becoming extinct and Marcin Gortat is no exception. Once the Wizards traded for Markieff Morris during the 2015-2016 season, it was clear that the Wizards were shifting their focus away from muscle to spacing. And just this offseason, the Wizards made a run at Al Horford in hopes of putting four shooters around John Wall. Even though traditional centers are fading away, Marcin Gortat managed to turn in his best season as a Wizard averaging a double-double for the year with 10.8 points and 10.4 rebounds. On top of that, the 33-year-old was the only Wizards player who played and started all 82 games this season. Gortat was rock solid for a majority of the season. However, he went through a bit of a slump in late February and March as his numbers dipped to 7.3 points and 8.6 rebounds per contest. This happened to coincide with the Wizards’ team struggles so like years past, Gortat became the punching bag for Wizards faithful. Things didn’t get easier for Gortat when the Wizards entered the playoffs as he had arguably the hardest individual matchups in both rounds. First, he had to guard the bruising Dwight Howard and then he had to try to lock down the rangy Al Horford. Gortat struggled to score in the Atlanta series but managed double-digit rebounding numbers in four of the six games (including 18 rebounds in Game 4). In the second round against theCeltics, he was able to move more freely on the offensive end. He notched three double-doubles in the series with double-digit rebounding efforts in six of the seven games. There’s no denying it, Gortat is getting older, but he’s adjusted to the evolving NBA. He’s not a stat stuffer anymore but performs many little things that don’t show up in the box score. This season, Gortat led the NBA in screens leading to baskets. So although he doesn’t get an assist per se, he’s accounting for a minimum of 12 additional points on a nightly basis. He continues to make the most of his touches around the rim, making 68.9 percent of his attempts there this season. The issue here is that his touches and shot attempts went down from previous years. He only attempted 8.2 shots per game, the fewest of his career since arriving in Washington. As the Wizards switched their offensive scheme, Gortat received fewer and fewer touches in the post as most of his points either came on pick-and-rolls or putbacks. In the rare instance that Gortat would get the ball in the post, it often felt like he needed to take the shot as he wasn’t sure when he’d touch the ball next. He struggled on those opportunities, shooting 46.2 percent in the paint and 40.9 percent in the midrange area. Gortat isn’t in an ideal situation as he’s on the wrong side of 30 playing a position that is slowly dissolving. He mentioned in his exit interviews that he’ll talk with his agent this offseason to see if Washington is the best place for him as it’s clear that the Wizards are looking to get younger and more athletic at the center position. His season didn’t end on a high note as he became less and less involved in the offense as the season wore on. However, his durability, rebounding, and ability to do the dirty work can’t be questioned. 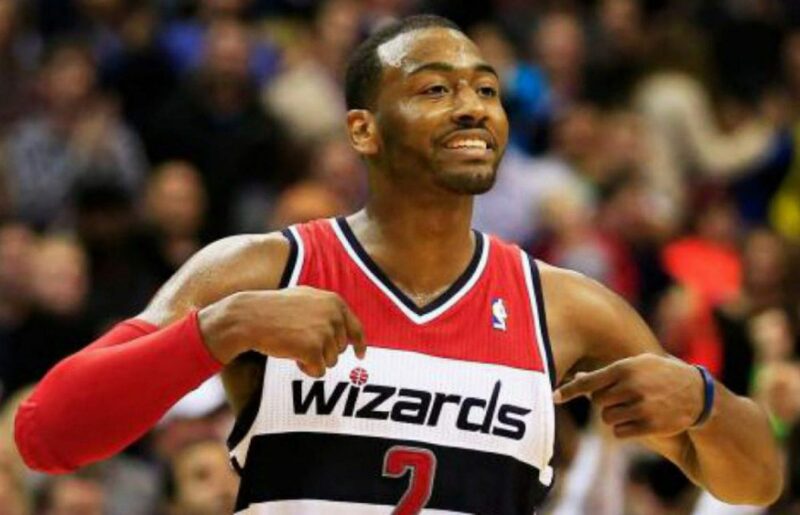 Next postWhat should we make of the Washington Wizards season?